Hello, this is Holly again. 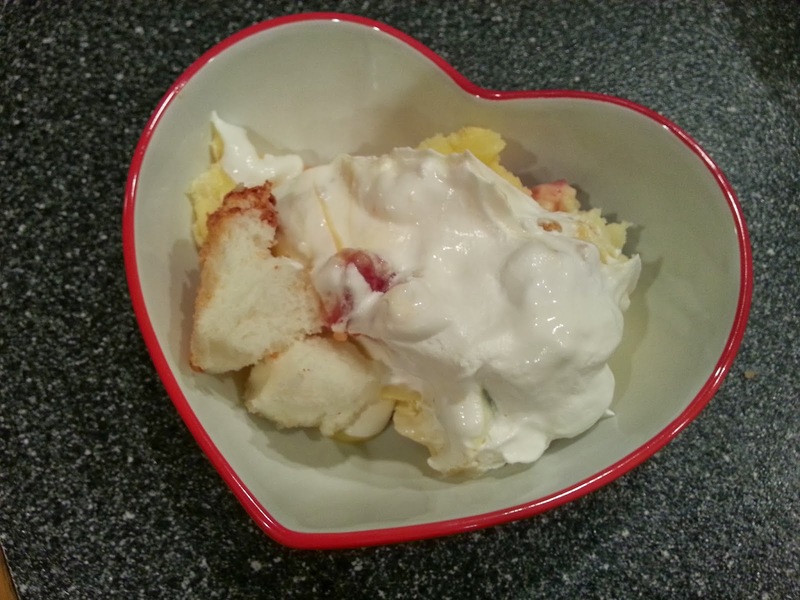 If you are looking for something sweet and colorful to share with your sweetheart, or if you want to show your patriotism with a red, white, and blue dish for Presidents' day then I recommend this delightful fruit trifle. This is the second dish that I made based on the game Bakery Story (download it for Android and iOS), and there are a few more that I want to try. This game is great to find a little inspiration, especially for dessert dishes. 1. 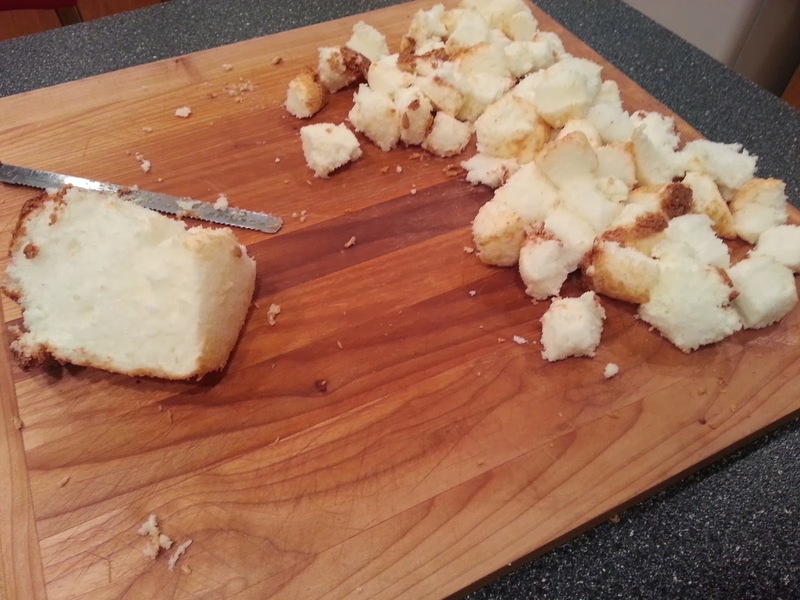 Prepare angel food cake and pudding according to their respective package instructions. 3. 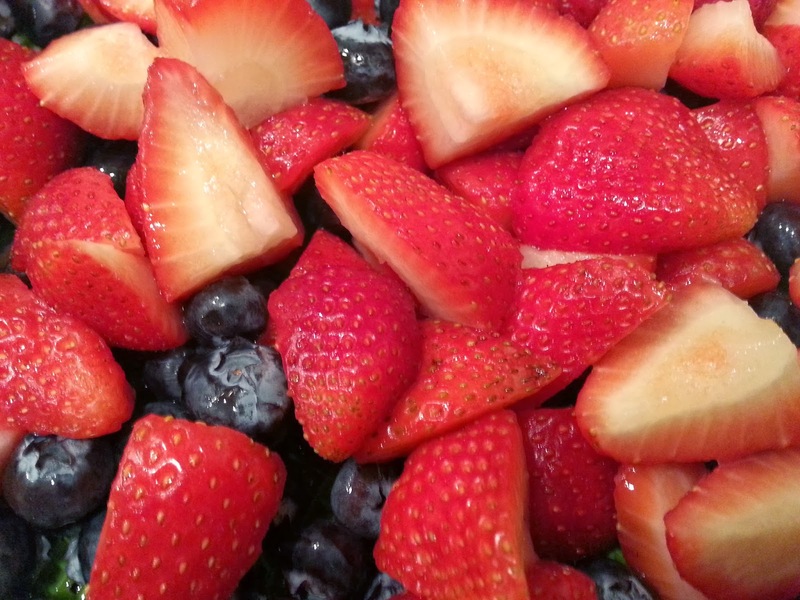 Rinse strawberries and blueberries to remove excess particles and then cut the strawberries into halves (after cutting off the green tops). 4. 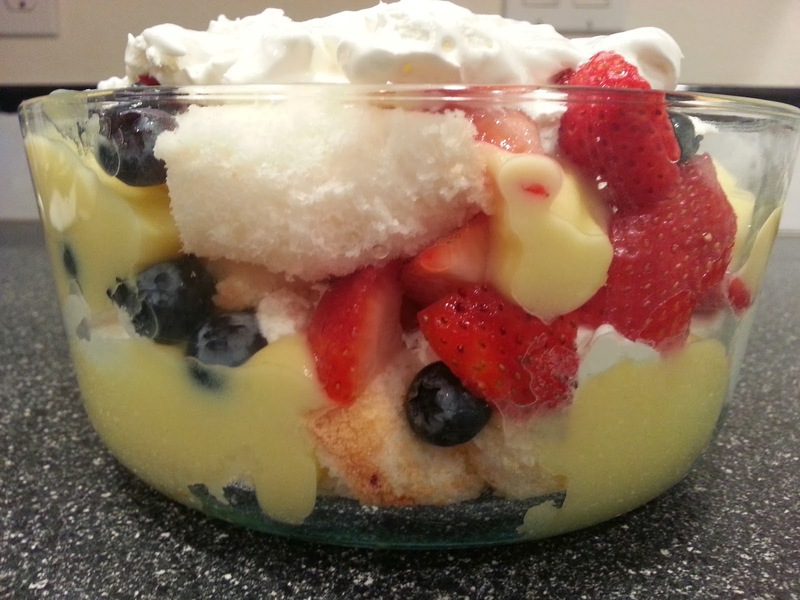 Layer half of the angel food cake in a tall glass dish or a trifle dish and then follow with a layer of pudding, a layer of fruit, and a layer of whipped cream. Repeat layering. 5. Marvel at your delicious trifle and then dig in!